I'm back with more punctuation tips! 9) No one wanted the old, beat-up, lawn chair. 9) No one wanted the old, beat-up lawn chair. (the comma between "old" and "beat-up" is correct, but you can't reverse "beat-up" and "lawn" (The lawn, beat-up chair), so you don't need a comma there. Any you disagree with? Let me know below. Because we all know punctuation can be slippery. Ahhh, this is one of my favorite topics, Melinda! Yay, you! Your readers may also be interested in June Casagrande's http://bit.ly/PunctuationBook and my multi award-winning http://bit.ly/FrugalEditor. June's http://bit.ly/GrammarSnobs is also good. It lets us know that we can adjust what we think are "rules" to the needs of a sentence. An example is when a sentence so many commas it confuses. We can rewrite the sentence or we can eliminate some of the commas. That can actually makes for more clarity. Yes, to me it's all about clarity, and sometimes breaking the rule adds clarity. Usually, though, the rules help the reader. And it's sometimes hard for the writer to see that, because she, of course, knows exactly what the sentence is supposed to say. Melinda, great topic. I find commas the most tricky. I always use the Rule of Thumb for clarity. And, it really is all about clarity for the reader. Good one! 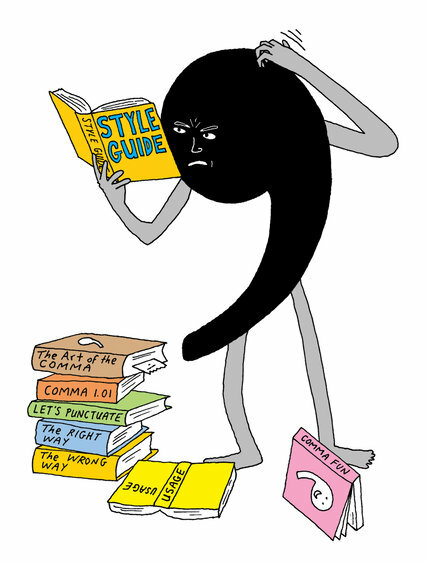 The comma issue has plagued me for years, so this is a great explanation. Glad you found it helpful, Romilda. Thanks for stopping by!